Douglas W. Atkins concentrates his practice in the specialty area of property tax refund and reduction, commonly known as tax certiorari. He has extensive experience in property tax reduction proceedings for all types of commercial real estate throughout New York State. He has handled complex cases for specialty properties such as golf courses, cellular towers, self-storage facilities, nursing homes, and condominium communities. Mr. Atkins also regularly advises property owners and municipalities on the negotiation and tax impact of Industrial Development Agency PILOT agreements. He is a frequent lecturer and writer on the topics of commercial property tax and valuation. He has been published in the New York Real Estate Journal, the New York Law Journal, the Suffolk County Lawyer, and various local publications. For his accomplishments and achievements in the business community, Doug was selected as one of Long Island’s top 30 young professionals by the Huntington Township Chamber of Commerce in 2010. 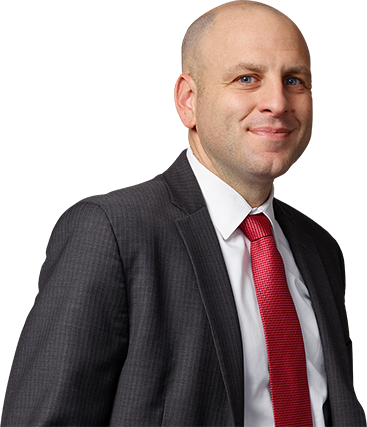 Since 2011, Doug has been annually selected as a New York SuperLawyers Rising Star. The Long Island Business News awarded him with both the Leadership in Law Award and the prestigious Long Island 40-Under-40 Award. Mr. Atkins has successfully completed both commercial and residential real estate appraisal courses through the Columbia Society of Real Estate Appraisers. Prior to joining the Firm, Mr. Atkins held positions at the Suffolk County District Attorney’s Office and the Kings County Supreme Court.